So why are there no people in the shot? Well that's because I was queued outside the Taj an hour before it was open, at 6am. There I stood with Rachel on our own, as slowly a few more people turned up in dribs and drabs, realising they were not first in the queue as anticipated! As soon as the doorways open, we went through security checks and then I ran like a crazy man, knowing exactly where to go straight for the classic central shot. There were still a few other people wandering the grounds that you can see in the background, mainly staff who were tending the gardens or getting ready for their working day. 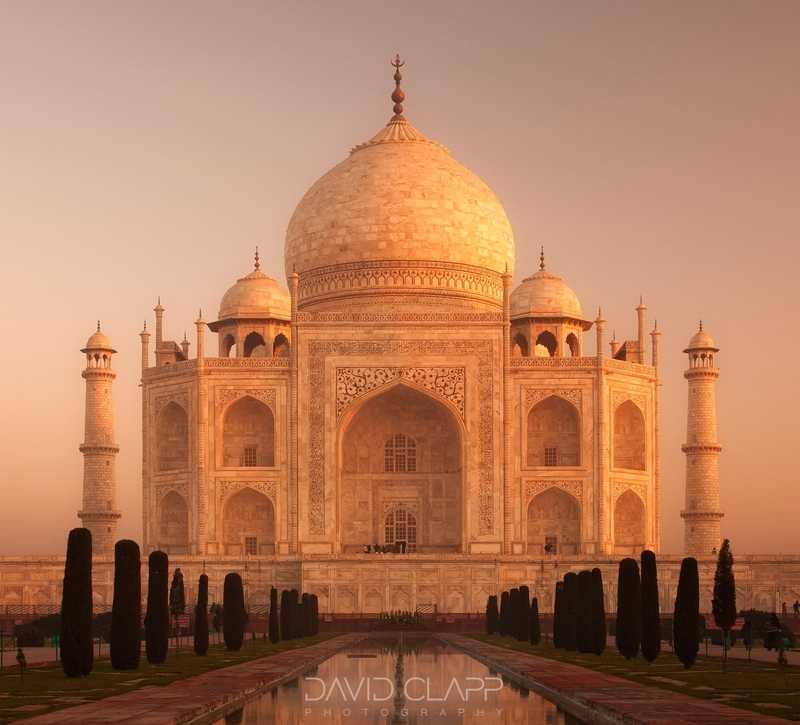 Within minutes the whole place was filled with hundreds of people and the moment passed, but I got the shot as a soft hazy dawn bathed the Taj in golden light. Canon 6D, 24-70 f4IS, f11, 1sec, ISO200 cropped to a square.